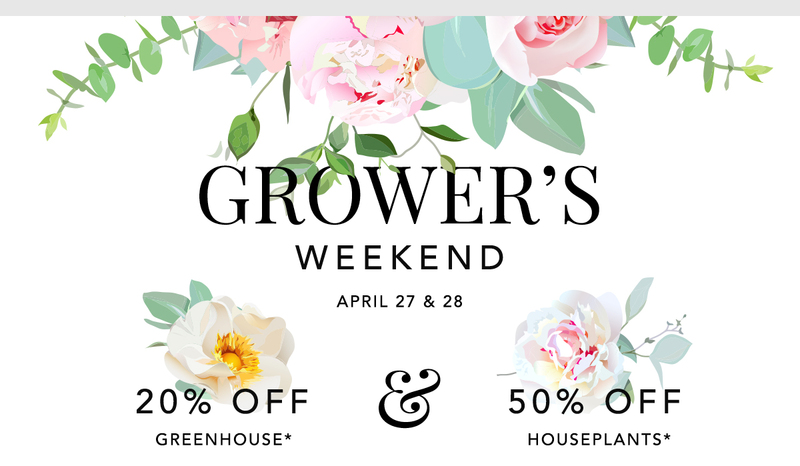 Join us for Grower’s Weekend and enjoy 20% off the ENTIRE greenhouse, delicious food, free classes, and greenhouse tours all weekend! See schedule below. *20* Off Entire Greenhouse: Excludes gift card purchases, landscaping services, and additional sales.